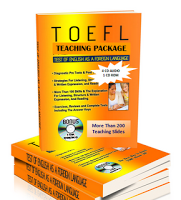 TOEFL Exercise 7 gives TOEFL Practice for listening short dialogue or listening part A. It has 50 numbers. (narrator) : What does the woman mean?